Keep up with Bryan as he shares his insight and experience on customer service. by Bryan K. Williams, D.M. Someone recently asked me, "What is luxury?" I told him that luxury means worry-free. It means everything has been thought of already for you. Every detail has been checked and re-checked before you purchase something. Whenever you have to wonder if something is going to get done, luxury ceases. If I see a maintenance employee in the lobby, and ask him for an extra pillow for my room, I shouldn't have to wonder if it's going to get done. In terms of luxury, I should trust the employee will tell the appropriate department and/or handle the request him/herself (and follow up with me). And see if there is anything further I need. THAT is luxury. Recently, I stayed at the Shore Lodge resort, which is located on Lake Payette in beautiful McCall, Idaho. "Dr. Williams, Please enjoy these gluten free crackers with s'mores on the patio this evening!" I am an avid tea drinker, and usually order a cup of green tea after my meals. One evening, I decided to enjoy a spa treatment at it's spa, The Cove. After my massage was over, I was escorted to the lounge to relax for a bit. On the table next to my lounge chair was a cup of green tea already steeping for me. That is luxury. On the first night of my hotel stay, I went to the resort's fine dining restaurant, The Narrow's Steakhouse. Typically, in a steakhouse, the server would replace the regular dinner knife with a steakknife (if you order a steak). Well, not at the Narrow's Steakhouse. The server brought over a beautiful box that contained multiple steak knives for me to choose from. One boasted a handle made of pearl, while another's handle was made of ornately-carved wood. All of the shapes were different. I've always thought of a steakknife as a...steak knife. Now, both my perception and expectation of excellence have been elevated. That is luxury. As service providers, the goal should always be to raise the customer's perception of what excellence is. Think of what they haven't thought of yet. Anticipate, surprise and delight. Wow, exceed and transcend. 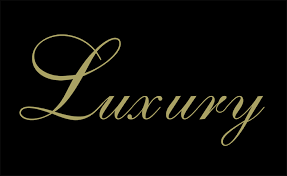 That is what luxury is really all about. Get ready for our next live 2-day event!